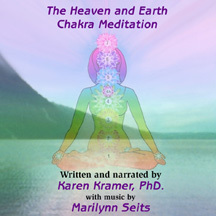 A serene but powerful uninterrupted suite of music based upon the harmonal frequencies of the seven Chakras (Energy Centers) of the body. 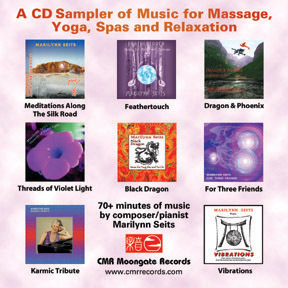 The music is ideal for Yoga, Reiki, massage and other forms of hands-on healing. The music creates an unintrusive ambience conducive to focused healing and body work. Richly beautiful music! Sound samples can be found in our information catalog. A beautiful tapestry of Oriental sounds and piano music soothing to the ear. The tracks segue one into another for an unbroken harmonious experience. 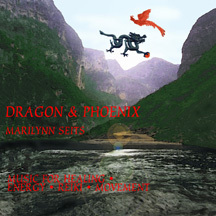 Because Dragon and Phoenix is both melodically peaceful and energetically dynamic, for Feng Shui, it is recommended to be played for a balancing of Yin and Yang energies. 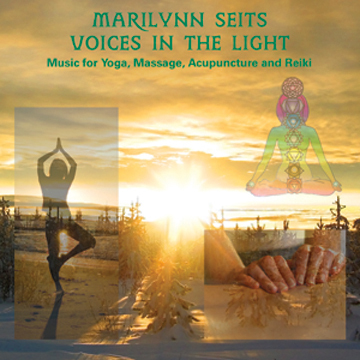 Similar to our best-seller FEATHERTOUCH (also by Marilynn Seits), Voices in the Light is a 65+ minute long ambient CD ideal for Massage, Reiki, Yoga and Relaxation. Great for spas and massage therapists. 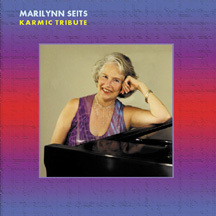 Marilynn's solo piano album consists of her arrangement and performance of standards by some of her favorite composers. 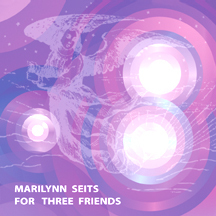 Included on the album are compositions by Keith Jarrett, Billy Strayhorn, Carla Bley, Steve Swallow, Bill Evans, Thelonius Monk and Charles Mingus and one of Marilynn's original pieces to end with. Marilynn successfully combines the phrasings, tonings and nuances of each composer/player/arranger into their respective piece while keeping her own unique inversion-filled style of playing predominant throughout. This is a rich and cohesive solo effort that is a pleasure to listen to. 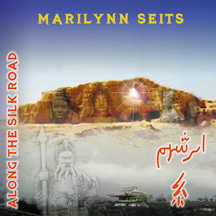 SILK ROAD is a soothing stream of piano music and sounds inspired by the sights and cultures along the ancient Silk Road trade routes between China and Europe. Marilynn has travelled parts of the road and used these experiences as inspiration. The music flows softly, combining engaging passages of improvised piano based on Middle Eastern scales and modes with enticing embellishments of sitar, flute and strings. Because Silk Road is dynamic, introspective and contemplative in mood, for Feng Shui purposes, Silk Road is recommended to be played when energy needs to be diffused and lightened. Soothing piano music for relaxation, meditation or background music in a spa or social setting, comparable to the solo piano work of George Winston and Keith Jarrett. Serene piano soundscapes are accentuated by occasional strings and flute. Many people have written to us saying that it is their favorite CD by Marilynn. 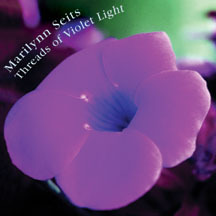 NEW REISSUE WITH ADDITIONAL MUSIC... Marilynn remastered this CD with additional music, making it over an hour long. All new packaging. Relax with the healing energy of violet... Marilynn's latest CD blends soothing ambient sounds with flute, strings and piano. Let the music gently cascade around you bringing warmth, peace and serenity. Marilynn performs a mixture of jazz standards, mostly featuring piano and guitar, and modal pieces featuring piano, guitar, bass and Native American flute. Her style is remeniscent of Bill Evans or Keith Jarrett, and the intensity of some of these pieces is augmented by Asian percussion. 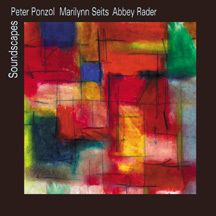 SOUNDSCAPES is a dynamic and innovative exploration of improvisatory music. Melodies and patterns form then dissipate, chaos becomes dissonant beauty, then beauty becomes dissonant chaos, and structure becomes unstructurewhich becomes structure again... This is a powerful and challenging work that openly explores the very foundation of what defines music. 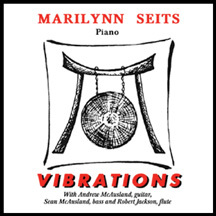 Marilynn Seits is painist/composer whose performances & recordings cover a broad range of music including Jazz, Blues, Free Improvisation, Ambient and World Beat. Peter Ponzol is a saxophonist whose career has included performing for ten years in New York City and thirteen years in Europe, playing in jazz clubs & giving concerts for Radio France, Radio Cologne and Radio Frankfurt. Abbey Rader is a drummer, percussionist, poet, composer and teacher who has been performing and teaching more than thirty five years in the United States and Europe. All three musicians believe firmly in the power and beauty of spontaneously improvised music and this CD is a tribute to that belief. SPECIALLY PRICED SAMPLER OF MARILYNN'S MUSIC. This 79 minute CD has complete tracks from each of the above 8 CDs. 2 tracks each from THREADS OF VIOLET LIGHT, DRAGON AND PHOENIX, BLACK DRAGON and FOR THREE FRIENDS. 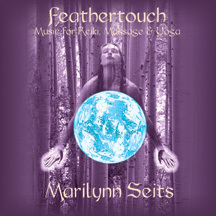 1 track each from FEATHERTOUCH, MEDITATIONS ALONG THE SILK ROAD, VIBRATIONS and KARMIC TRIBUTE. This is an ideal collection to get if you wish to hear Marilynn's music but are unsure which CDs you want to get. get to a yoga class and when you don't have a video or DVD player handy. heard on the CD itself...no complicated books or charts which can be distracting. yoga movements found in most yoga classes such as Downward Dog, The Fish and The Cobra. � Be open to living life more fully! 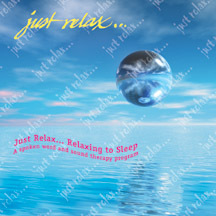 Gail's Just Relax web site.